The Easiest Drumset Method Ever! By Dave Black and Steve Houghton. Three irresistible drum experts-a clever, classical dog, one cool cat, and a friendly alligator-keep students’ attention focused by pointing out what’s important on each page and help make learning music fun! This full-color book is specifically designed with attention-grabbing illustrations for use with kids at the elementary level. 48 pages. Sold as Book & CD, Book & DVD, or just DVD. 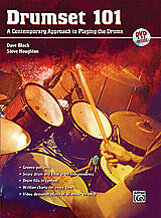 Drumset 101 is a contemporary approach to playing the drums by veteran authors Dave Black and Steve Houghton. Inside, aspiring drummers will find in-depth, easy-to-understand introductions to such topics as groove patterns, snare drum & bass drum independence, and drum fills in context. The book contains written charts for every tune, and a play-along CD with 40 multi-stylistic tracks that can be used to strengthen time keeping, improve ensemble playing, clarify phrasing and expand the player’s knowledge of styles. 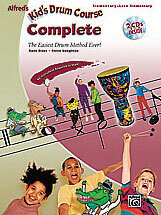 Designed to Build the Vocabulary and Confidence of the Aspiring Drumset Performer, by Steve Houghton and Wendell Yuponce. 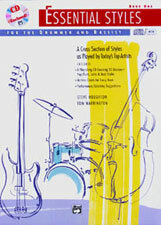 Techniques such as time-keeping, soloing, effective filling, phrasing, and chart reading are all studied, demonstrated and presented in a play-along format. 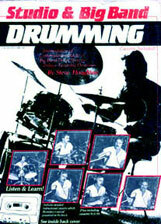 This book will challenge, inspire, enlighten and, most of all, let the drum set player create and improvise. Alfred MasterTracks Blues is an exciting play-along package featuring a hot rhythm section of today’s top studio musicians. The book and CD package contain 12 extended tracks in a wide range of up-to-date grooves, styles and keys complete with charts indicating the harmonic and rhythmic structure. Perfect for school or individual use, Alfred MasterTracks is a great way for improvisers of all levels to fine-tune their craft while playing along with an awesome rhythm section! A College Method for Success in the Classroom. A Life Time Reference for Music Teachers. The purpose of this book is to provide the drummer with the fundamental skills to perform in a studio orchestra, big band, show band, or small combo. 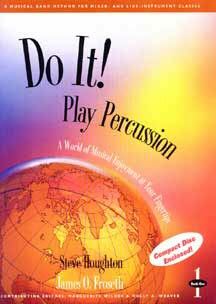 The book includes concepts, ideas and philosophies concerning how to play musically with any type of ensemble. The book contains a collection of drum parts which will provide an overview of the different drum part “formats” one might encounter. In addition, there is a cassette tape designed to demonstrate common fills and setups. Ideally, the book will serve as a reference point and will prepare the player for most reading situations. This diverse collection of drum charts comes with a CD of accompaniments recorded both with drums for demonstration and without drums for playing along, and includes analyses and performance suggestions. Performance settings like big band, small group, live shows, Broadway, studio work, dance jobs and cruise ships are discussed in terms of responsibilities, challenges, expectations, awareness and problem areas. 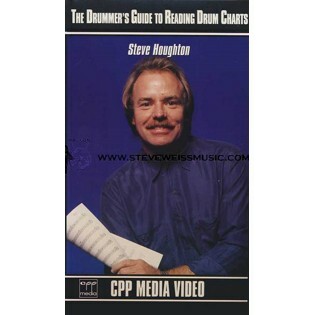 This video provides the drummer with strong, overall skills for reading drum set charts. 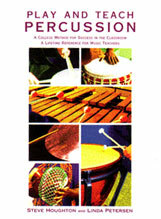 Houghton uses a detailed approach in discussing musical definitions, stylized reading, set-up techniques, sight-reading concepts, ensemble playing skills, and chart analysis. Houghton uses 22 actual charts to demonstrate various problems and trouble spots in reading drum charts. 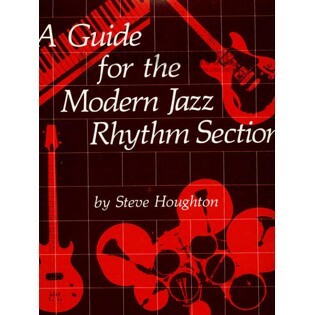 The collection covers almost every reading situation and format the drummer might encounter. 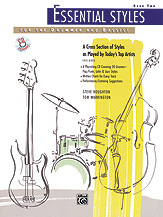 Essential Styles, Books 1 and 2 are two innovative book and play-along CD packages that teach 50 essential grooves from today’s jazz and popular styles. 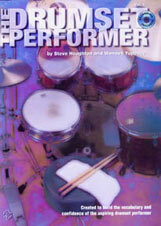 The books include written-out charts of each selection and performance tips for both drums and bass. All of the grooves have been recorded with a rhythm section and woodwinds, with drums mixed on the left channel and bass on the right, so either instrument may be dialed out. In addition, many of the tracks contain open choruses of comping so any instrument can practice playing solos! Essential Styles emphasizes the most important aspects of solid group playing—locking-in between the drummer and bassist— providing a strong rhythmic foundation and creating an authentic feel for whatever the style demands. Essential Styles Books 1 and 2 are two unique Book and CD packages that will teach you 50 popular grooves – and give you a chance to play along with some of the hottest session players. Each book emphasizes the most important aspects of solid group playing: “locking-in” between the drummer and bassist, and providing a strong rhythmic foundation and creating an authentic feel for whatever the style demands. Book 2 also includes numerous open choruses of comping so other players can practice their solo work along with you. Professional studio backgrounds capture the rich diversity of American music culture with a repertoire of American, Latin American, African, European, and Far Eastern styles. Music of other times, including 12th-century conductus, 15th-century Dance of the Bouffons, 16th-century French branle, 18th- and 19th-century folk songs and dances, 1940s and ’50s jazz, blues, and rock-and-roll. The repertoire and recorded contexts are motivating, informative, and entirely musical. Every song includes text, providing information about phrasing, rhythm, style, affect, emotion, history, and culture. An individualized format allows students to progress at different rates with a “theme and-variation” format. Ear training and improvisation are integral parts of the lesson format. Three irresistible drum experts-a clever, classical dog, one cool cat, and a friendly alligator-keep students’ attention focused by pointing out what’s important on each page and help make learning music fun! This full-color book is specifically designed with attention-grabbing illustrations for use with kids at the elementary level. Three irresistible drum experts—a clever, classical dog, one cool cat, and a friendly alligator-keep students’ attention focused by pointing out what’s important on each page and help make learning music fun! This full—color book is specifically designed with attention-grabbing illustrations for use with kids at the elementary level. 48 pages. Alfred’s Kid’s Drum Course is a fun method that teaches you to play rhythms and songs on a variety of drums and sound sources, including many simple, inexpensive objects found around your home. With an accompanying CD that always lets you hear how the music should sound, each lesson is explained in plain language that’s easy to understand. Plus, you get to learn from three irresistible drum experts—a clever, classical dog, one cool cat, and a friendly alligator. 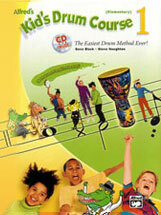 They draw attention to what’s important on each page and help you learn by making music fun! Parents can be effective guides to help you through this course, even if they’ve never had any musical training themselves. Plus, you can play along with the great-sounding accompaniments on the enclosed CD and feel like you’re performing with a real band! Get ready to take your first, best step toward a lifetime of musical enjoyment. 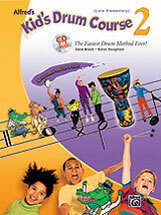 Alfred’s Kid’s Drum Course is a fun method that teaches you to play rhythms and songs on a variety of drums and sound sources, including many simple, inexpensive objects found around your home. With two accompanying CDs that always let you hear how the music should sound, each lesson is explained in plain language that’s easy to understand. Plus, you get to learn from three irresistible drum experts—a clever, classical dog, one cool cat, and a friendly alligator. They draw attention to what’s important on each page and help you learn by making music fun! This is a fantastic masterwork by Pat and Lyle. The piece is a real tour de force at 7 minutes in length. If you’re looking for a challenge, this is it! Written for vibraphone, three marimbas, bass, drum set and three auxiliary percussion. Pat never wrote a happier tune. This piece just romps and stomps through a great latin/rock groove. Written for vibraphone, two marimbas, bass, drum set and three auxiliary percussion. This is one of Pat’s earliest “hits” with his group. It adapts extremely well to the percussion ensemble instrumentation. Great latin music. Written for vibraphone, two marimbas, bass, drum set and three auxiliary percussion. 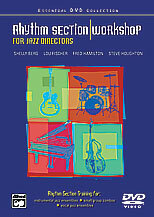 The Book includes chapters on set-up, rhythm section styles, functions and concepts. One chapter deals with problem areas while another covers techniques and skills. One of the important features is a section on musical interpretation which includes individual rhythm parts for six different big band arrangements and a “play along” CD recording. 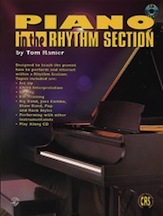 This book and CD focus on the piano as it relates to the rest of the rhythm section. Beginning with setups, various scenarios are discussed and represented in diagram form. Various styles of music are studied along with the piano techniques and approaches that apply to each style. Soloing, improvisation, chart reading and ear training are also covered in great detail. An entire series devoted to the rhythm section! 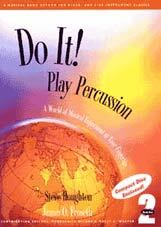 Designed for hobbyists, professionals, conductors, arrangers, students, and teachers interested in the function of each player within a rhythm section. Presented in both book/CD and video formats, this series covers all aspects of the educational spectrum: reading, listening, watching, and performing. 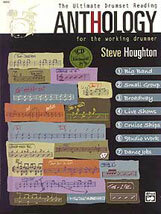 Steve Houghton guides drummers through these essentials with these vital learning tools. 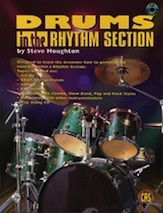 This book and CD focus on the rhythm section as a whole. Beginning with setups, various scenarios are discussed and represented in diagram forms. Various styles of music are studied along with the techniques and approaches that apply for each instrument in each style. Soloing, improvisation, chart reading and ear training are also covered in great detail. 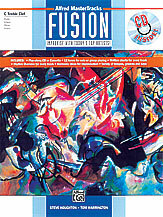 Alfred MasterTracks Fusion is an exciting play-along package featuring a hot rhythm section of today’s top studio musicians. 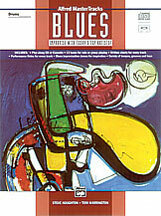 The book and CD package contain 12 extended tracks in a wide range of up-to-date grooves, styles and keys complete with charts indicating the harmonic and rhythmic structure. Perfect for school or individual use, Alfred MasterTracks is a great way for improvisers of all levels to fine-tune their craft while playing along with an awesome rhythm section! Alfred MasterTracks Latin is an exciting play-along package featuring a hot rhythm section of today’s top studio musicians. The book and CD package contain 12 extended tracks in a wide range of up-to-date grooves, styles and keys complete with charts indicating the harmonic and rhythmic structure. Perfect for school or individual use, Alfred MasterTracks is a great way for improvisers of all levels to fine-tune their craft while playing along with an awesome rhythm section! Alfred MasterTracks Jazz is an exciting play-along package featuring a hot rhythm section of today’s top studio musicians. The book and CD package contain 12 extended tracks in a wide range of up-to-date grooves, styles and keys complete with charts indicating the harmonic and rhythmic structure. Perfect for school or individual use, Alfred MasterTracks is a great way for improvisers of all levels to fine-tune their craft while playing along with an awesome rhythm section! Teacher’s training kit includes book, CD & DVD. Perfect for instrumental jazz ensembles, small group combos, vocal jazz ensembles, and praise and worship bands! The energy core of any jazz ensemble, the rhythm section radiates the groove, time and essence of the music. 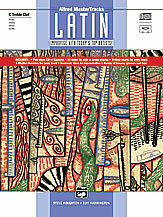 Each chapter includes an introduction of the style, a “clinics room” that includes performance tips of the genre and a play-along piece at the end that coincides with the CD and optional DVD. 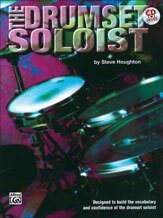 Included in this series are: Seven different jazz grooves including swing, bossa nova, rock, shuffle, samba, funk, and ballad; Clarity and deference through adjusting your volume or knowing when not to play; How to keep time as a rhythm section; How to comp effectively; Reproducible pages in the student book.